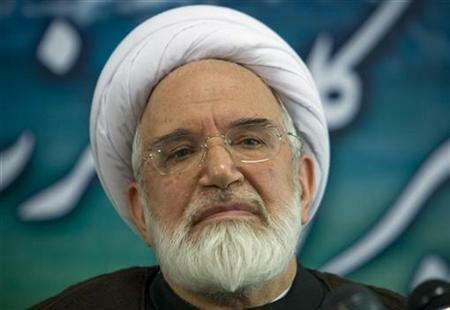 Mousavi’s senior adviser Ali Reza Beheshti Shirazi transferred to hospital. National-Religious activist Masoud Pedram has been transferred back to Ward 350 from Ward 2-A solitary. Rastin Aalemi, student in Mazandaran University arrested. Sholeh Afshari, Baha’i, arrested in Isfahan. Ali Aghazadeh, merchant in Tabriz bazar, arrested. Hossein Ahmadian arrested in Maragheh. Mostafa Avazpour, arrested in Tabriz for protesting against Lake Urmiah drying up. Mohammad Eskandarzadeh arrested in Tabriz for protesting against Lake Urmiah drying up. Bahram Ferdosian, Baha’i, arrested in Isfahan. Abolfazl Garamani, student in Mazandaran University arrested. Mehran Keshavarz, Sepah soldier, arrested in Urmiah for protesting against lake drying up. Pouria Khaleghi, student in Mazandaran University arrested. Rouhollah Khani arrested in Urmiah for protesting against lake drying up. Askar Khaniari arrested in Urmiah for protesting against lake drying up. Hasan Mirzakhani arrested in Tabriz for protesting against Lake Urmiah drying up. Akbar Mohajeri arrested in Tabriz for protesting against Lake Urmiah drying up. Hamid Noghoudi arrested in Urmiah for protesting against Lake Urmiah drying up. Ghader Norouzi arrested in Tabriz for protesting against lake drying up. Esrafil Omidi, student in Shahid Beheshti University, arrested in Urmiah for protesting against lake drying up. Mana Pirali, Baha’i, arrested in Isfahan. Mehrdad Raha arrested in Urmiah for protesting against lake drying up. Fariborz Reisdana, economist, member of Iran Writers Association, arrested to serve out a 1-year prison term. Azam Tabibi, Baha’i, arrested in Isfahan. Afsaneh Toghi arrested inside Tabriz University for protesting against Lake Urmiah drying up. Arrests at a private party (9 men + 6 women) where alcohol was served. Tens of people arrested in East and West Azarbaijan for protesting the drying up of Lake Urmiah. Clergy/blogger Ahmad Reza Ahmadpour ended his hunger strike after being granted furlough. Journalist Rahman Bouzari was transferred to Evin prison on Saturday to start serving his 2 years sentence. Mahdieh Golroo, student activist, was released at the end of her sentence. Women’s rights activist Mahboobeh Karami was released on bail a little while ago. She’d been detained since May 15 last year. Teachers Trade unionist Ali Poursoleiman was released after completing his one year sentence. Author and literary translator Mohammad Soleimaninia has been released on bail. Mohammad Sedigh Kaboudvand has been on hunger strike since May 4th. Iran to retry Kurdish Moradi brothers sentenced to death. Mohammad Reza Motamednia has ended his hunger strike after 42 days. Political prisoner Mansour Radpour has died in custody in Rejaei Shahr prison. Imprisoned blogger Hossein Ronaghi Maleki has started a hunger strike. Prison officials recently admitted to using trained dogs to attack prisoners as a punishment. Mostafa Armin, Kurdish activist, sentenced to 15.5 years in prison + exile for Moharebeh. Nioosha Badi Sabet, Baha’i, sentenced to 1 year in prison + 1 year suspended. Saeed Derayat, Kurdish activist, sentenced to 4 years in prison. Ali Divsalar, Baha’i, sentenced to 2 years in prison + 2 years suspended. Anisa Fanaian, Baha’i sentenced to 4 years and 4 months..
Abolfazl Ghadiani sentenced to one extra year in prison for writing to Khamenei. Court of Appeals upheld 3 1/2 years in prison+70 lashes for Mashhad Ferdowsi University student Mohammad Ghafarian. Solmaz Ghasemi, Baha’i, sentenced to 1 year in prison + 1 year suspended. Sarah Haj Ebrahimi Baha’i, sentenced to 2 years in prison + 2 years suspended. Mousa Hatefi, Kurdish activist, sentenced to 7 years in prison. Reza Jolodarzadeh Editor-in-Chief of banned weekly Sobhe Azadi has been sentenced to 1 year in prison. Sabah Khaiat sentenced to 6 years by Appeals. Ali Marhamati, Kurdish activist, sentenced to 4 years in prison. Shamis Nourani, Baha’i, sentenced to 1 year in prison + 1 year suspended. No one found guilty for the 4 death of Hoda Saber (political prisoner died after 9-days hunger strike) and Haleh Sahabi (died at father funeral) Prosecutor. Amir Seif sentenced to 5 years + 74 lashes on anti-national security acts by participating in protests and insulting officials. Two people executed in Esfahan on Saturday. Seven people executed in Lakan prison in Rasht on Sunday. 14 people hanged on Monday of which two men in Sanandaj, one man in Sari and one in Kermanshah. Man convicted of alcohol consumption was lashed in public in Mianeh. 3 people were hanged in Adelabad prison in Shiraz on Tuesday. One pubic hanging in Ilam on Thursday. Education Ministry is cooperating with theological seminaries to produce elementary school textbooks. Members of music group [rap band ] “vibrations” were arrested in Mahabad. Reuters Bureau Chief in Tehran, Parisa Hafezi ‏has been banned from leaving Iran. 9 internet cafes shut down due to using proxy filters. Asghar Farhadi received EU Media prize in Cannes – he will direct his next film in France. Iran’s Abbas Kiarostami relocates to Japan for Cannes entry ‘Like Someone in Love’. Iran to issue media licenses to foreign media from Latin America and “Islamic Awakening” countries. The Elamite rock bas-relief of Kurangun in the Baba Meydan region of Fars Province, faces destruction. Shiraz Payamnour University English language and literature student Yekta Fahandezh has been expelled for being of Baha’i faith. Protests in Urmiah on Monday against drying up of the Lake. Preschool teachers protest in front of Parliament. Clandestine Gay Rights Rally in Tehran. Water bills to rise 20%. South Korea’s largest oil refiner SK Energy will stop Iranian crude imports from July. 800 Metro workers have not been paid for five months in Ahvaz. Iranian oil exports to China down by 23% in April compared to last year. Iran plans a new oil terminal outside the Strait of Hormuz to protect its exports. Hundreds of brick making factories closed down; thousands of seasonal workers unemployed in Kermanshah. Fire erupts in petrochemical plant in Khuzestan province. Iran to export oil products to Ecuador. FM Ali Akbar Salehi left for Kuwait on Sunday. Iran calls back ambassador from Azerbaijan. Three Iranian truck drivers were abducted in Syria. Hojjat 0l-Eslam Mohammad Mohammadi, the Supreme Leader’s representative and head of the Islamic Charities Organization, met with Hezbollah Secretary General Hassan Nasrallah. Secretary of Iran’s Supreme National Security Council, Saeed Jalili met with Iraq’s Prime Minister Nuri Al-Maliki and President Jalal Talabani. Ahmadinejad meets with Sudan’s presidential adviser. Ahmadinejad invites Syria’s Assad, to visit Tehran to take part in a meeting of Non-Aligned Movement. Iran and Afghanistan have signed a memorandum of understanding (MoU) on cooperation on an anti-narcotics campaign. There are currently 5,700 Iranians registered as refugees or asylum seekers in Turkey. Iranian diplomat accused of child molestation in Brazil fired from Foreign Ministry. Former deputy head of the Central Bank accused in fraud case attends government meetings. Deal signed to split oil revenue between outlets of IRGC and Basij militia. Iranians buying oxygen tanks to escape Tehran’s polluted air: 5 minutes of oxygen, for $3. Bodies of 98 Iranians and 13 Iraqis killed during 1980-1988 war returned to their native countries on Monday. Javad Alikhani transferred to Modarres hospital for kidney stones problems. Chair of Participation Front Mohsen Mirdamadi was transferred to hospital from Evin on Sunday. Narges Mohammadi transferred to Evin clinic and then to Zanjan prison. Sarir Sadeghi transferred from Pelak 100 to Shiraz prison. Yaghoob Moghani Kar arrested in Karaj and sent to Rejaei Shahr prison, Intel. ward. Status and whereabouts of 85 year old Baha’i Mohammad Hossein Nakhaei arrested in Birjand in a raid of his home on May 13th are still unknown. Akbar Pourhosseini, baha’i, arrested in Semnan. Jalal SalehPour (Bulut) student and poet in Tabriz University, was arrested by Intel. Afrasihab Sobhani, baha’i, arrested in Semnan. Zahed Banafeshi arrested on May 1st in Sanandaj, released on bail from Intelligence detention center. Babol University student activist Moein Ghamin has been released after 23 days in detention. Shirkoo Kordi arrested on May 1st in Sanandaj, released on bail from Intelligence detention center. Mohammad Latifi arrested on May 1st in Sanandaj, released on bail from Intelligence detention center. Hamid Tarimoradi arrested on May 1st in Sanandaj, released on bail from Intelligence detention center. Iran Freedom Movement member Mohammad Tavasoli has been released on furlough. After more than 2 years in prison, student activist Sina Zahiri was released from Rejaei Shahr prison. Activist Peyman Aref has been summoned to court once again. 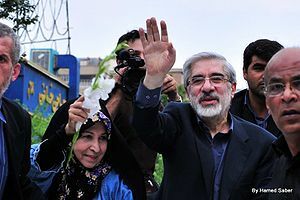 Opposition leader Mehdi Karroubi, under house arrest, met with his family. Iran opposition leader Mir-Hossein Moussavi and his wife Zahra Rahnavard, under house arrest, met with Rahnavard’s mother. Imprisoned writer, democratic theorist Massoud Pedram on hunger strike. Iran demolishes houses of activists in Ahwaz. Relocating Evin prison is postponed for lack funds for prisons. Isfahan prisons hold 3 times the number of prisoners for standard capacity of the prisons. Imprisoned labour activists on hunger strike in Tabriz prison. Sahar Beiram Abadi, Baha’i, sentenced to 2 years in prison + 1 year suspended. Scientist Dr. Omid Kokabi is sentenced to 10 years for refusing to cooperate with IRGC. Saman Ostevar, Baha’i, director of a pre-school in Bam, sentenced to 2 years in prison + 1 year suspended. Mehdi Ramezani, father of Ramin, killed during Iran Election protests, sentenced to 3 years in prison. Sirvan Saberi, Kurdish political activist, sentenced to 3 years in prison; he is in Sanandaj prison. Nahale Shahidi Baha’i, sentenced to 2 years in prison + 1 year suspended. 13 people were tried and convicted of espionage for Israel. Majid Jamali Fashi who pleaded guilty for the murder of nuclear scientist Massoud Ali-Mohammadi will be executed on Tuesday May 15. One execution in Zanjan on Wednesday. One woman and 6 men hanged in Kermanshah, 3 men in Ardebil, and 16 persons in Yazd prison on Thursday, a total of 26 people in one day, of which 5 women and 5 Afghans. 4 fingers of a convicted thief were amputated in Mashhad prison. 397 satellite receivers collected in Arak last week. Wave of university professors forced to retire. Khamenei’s fatwa (religious ruling) on the illegality of using anti-filtering was blocked. Political Prisoner Mohsen Mirdamadi secretary general of Participation Front expelled from Tehran University. Parviz Shahriari, major figure in Iranian education -jailed under both Shah and Islamic Republic, dies at 85. 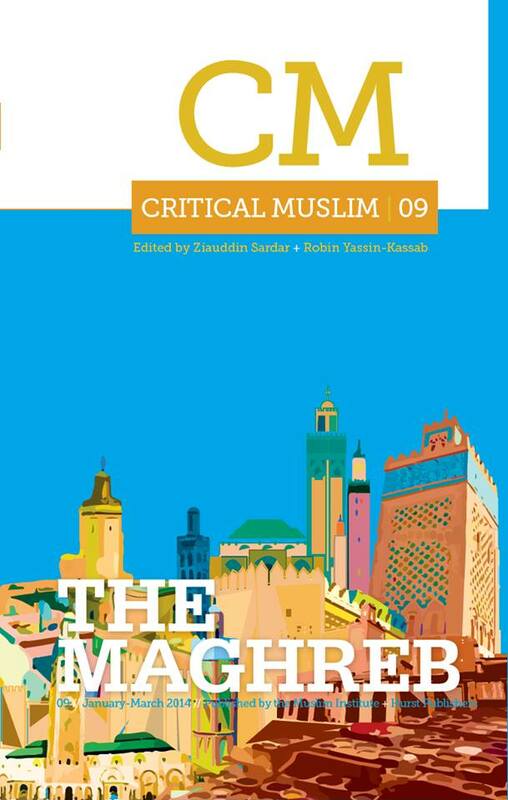 Book documenting life of Supreme Leader Khamenei banned. Sugar cane and food industry workers in Shushtar gathered to protest low wages and a lack of transparent contracts. Protests in Sistan-Baluchistan turn deadly. Battle between armed forces and workers at the Art College in Karaj University. Eram textile factory in Tehran which employed more than 200 workers has reduced the number of workers to 180. 200 workers lost their jobs after “Nab” vegetable oil was closed. USD 1 = 1593 tomans. Iran, unable to sell oil, stores it on tankers. US dollar jumps 7% (from 1580 tomans to 1695 tomans) overnight. Statistics Center: Unemployment fell 1.2% to 12.3% in Iranian year ending March 19, 2012. Sharp rise in Tehran rents. Iran subsidy handouts to increase from 45,500 tomans ($27) to 73,000 tomans ($43) per person per month. Iran to raise petrol prices to 700 -1200 tomans per liter with second phase of subsidy reform. 325 fertilizer plants shut down in Iran / 15,000 workers laid off. Two factories in Zanjan have laid off 140 workers, after not paying their salaries for five months. Oil exports reportedly show 90 % fall in two weeks – sanctions held responsible. Iran turns off tracking systems on tankers. Deputy Foreign Minister for Arab and African Affairs departs for South Africa and Namibia. Iran still shipping arms to Syria, UN report finds. Islamic Republic of Iran threatens Google with lawsuit if they use a name other than “Persian Gulf”. Japan bank freezes Iran accounts after court order. Arab hackers launch cyber-attack against Iranian Oil Company. Sri Lanka announces reduced purchases of Iranian oil. Communications jamming, monitoring, and surveillance equipment, target for new sanctions on Iran. Iran to host the 12th international mathematics conference on September 2-5. Two Iranian pilgrims abducted in Syria were released and handed over to Turkish officials on the Turkey-Syria border. Head of Iran’s Assembly of Experts: it is acceptable to issue a warning to the Supreme Leader. Battle for the next Majlis speaker’s post: Haddad Adel vs. Larijani. Iranian Azeris set up national council in Turkey, aspire for independence. Majlis approves increase in subsidies in second stage of the Subsidy Reform Plan. Iran’s parliament approves $462 billion budget. EU force frees Iranian dhow from Somali pirates. Remains of 57 Iranian soldiers killed during the war in the 1980s found in Faw peninsula in Iraq. Health Ministry is concerned: Increasing alcohol consumption, alcoholism in Iran. Air pollution alert issued in Tehran. Another retired Sepah Commander dies of heart attack. All wars cause collateral damage. Vashni is collateral damage in Canada’s war on human smugglers. For the last two years, she’s struggled to stay one step ahead of a Thai government that considers her an illegal migrant. If she’s sent back to her native Sri Lanka, she faces torture, imprisonment and perhaps death. Vashni has been swept up by the bitter aftermath of her homeland’s 26-year-civil war that ended three years ago with the Singhalese majority crushing Tamil separatists. In the 1990s, she was conscripted — against her will she maintains —into the rebel Tamil Tigers, a group Canada considers a terrorist group. The co-ordinated policing and political effort involving Canadians, Thais, Australians and others across the globe appears to have prevented another Ocean Lady or Sun Sea from reaching Canada’s west coast. Earlier this month, a Sri Lankan ringleader of the Bangkok smuggling network was arrested in France. But there is a human cost associated with these law enforcement successes. Thailand doesn’t recognize international refugee law — it considers people like Vashni to be illegal migrants. So they must apply to the United Nations High Commissioner for Refugees (UNHCR) for refugee status. If they are successful, then they wait for a third country to grant them residency — a process that can take years. If they are like Vashni, and have had their claims rejected by UNHCR, the waiting becomes interminable. The latest UNHCR figures from March, obtained through a third party by The Canadian Press, show that 275 Sri Lankan Tamils have been granted refugee status, while another 142 have not. Aid agencies say more Tamils — nobody knows how many — haven’t bothered approaching UNHCR. “That’s what we’re seeing now in Sri Lanka. People have been sent back from the U.K. and have been detained, interrogated and tortured,” says Robertson, whose organization issued a public plea to Britain late last year to stop sending Tamils back to Sri Lanka. The Conservatives also moved to prevent more boatloads of Tamils from arriving on Canada’s western shores, dispatching RCMP officers to Thailand. The RCMP declined interview requests in Bangkok. Gen. Wichean Potephosree, now the Secretary General of Thailand’s National Security Council, headed the Thai national police last year at the height of the crackdown. That has created an inhospitable environment for the leaders of the human trafficking rings, making Thailand “a less attractive departure point” for their operations. “The fact that there hasn’t been another boat is evidence that something worked,” the diplomat said. Robertson, of Human Rights Watch, says Canada complained loudly to the Thais after the Sun Sea incident, and “marching orders went out from the prime minister” to locate and prevent the smugglers’ from launching another ship. “Within a week or so, you had major arrests of Sri Lankans. The problem has been that when you have that kind of order that comes from the top in Thailand, the police and the immigration snap-to,” says Robertson. Vashni’s parents arrived in Canada as refugees about a decade ago and settled in the Toronto area after gaining their citizenship. They live on social assistance and are not eligible to sponsor her. Vashni has another big strike against her — she was once a member of the Tamil Tigers, the Sri Lankan rebel group that Canada considers a terrorist organization. “The best way to solve this problem is to help the origin country to take care of their people,” says Boinchart Bunnang, director of international strategy at the Thai National Security Council. Keenan applauds the Canadian government’s hard line towards Sri Lanka to clean up its rights record and resolve long-standing ethnic differences.